It’s too weird to see how my hometown has changed in the three years I’ve been away. Bethesda is so fancy now! There’s an Apple store where the old Blockbuster used to be, and I counted at least two organic juice bars. They’ve been upping the Bethesda beauty game, too; the past few years have seen a new Sephora, bluemercury, and, most recently, a Santa Maria Novella boutique. Santa Maria Novella has a charmingly old-world backstory: they claim to have originated as an Italian pharmacy in 1612. Who knows? This boutique doesn’t look much like any of the Italian pharmacies I’ve ever seen (too spacious), but the products and packaging do have a pleasing apothecary vibe. I desperately wanted to take pictures of this adorable shop for y’all, but I was regretfully informed by the very sweet SAs that SMN does not allow photography. Instead, they gave me my very own scroll with information on SMN’s history and products. A scroll, y’all! This must be what Moses felt like. I will treasure it always (and by treasure, I mean “try not to let Zelda use it as a cat toy”). 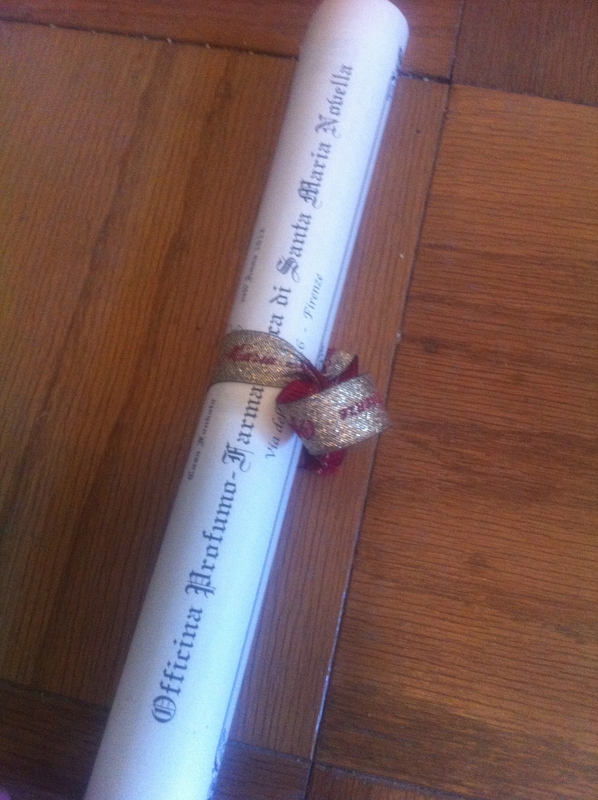 I am fairly certain that this scroll makes me a knight. They also generously made me a sample of the satisfyingly meaty Santa Maria Novella Amber cologne. Imagine that you were to wear a standard amber perfume while barbecuing for a few hours. The end result would be something like this smoky, savory take on amber. SMN Amber is bone-dry, making it as intimidating as it is intriguing. SMN calls this a cologne, but it’s resolutely unisex (unless the smell of barbecue has a gendered component that I’m somehow missing). If SMN offered sizes other than 100 ml, I would have bought it on the spot. The Amber sounds nice and the scroll is pretty kickass I must say. It is so crazy that you say that, because I was literally JUST writing an article about my future plan to open a perfume shop in Austin. Whoa. Get out of my brain, dude! if you move here and open a perfume shop, I will absolutely be one of your patrons, Ari. I did get to try the Carons, luckily – I focused on them before the SMNs. Although, even still, there are a few of the Carons I wish I’d spent more time with. Win some, lose some. sigh. Come on down, we need a good perfume shop here! I’ve been wanting to make it out to the SMN boutique in Bethesda for ages. Melograno is probably my ‘signature scent’ and I’ve said before that if I had to confine myself to wearing just one perfume house forever it would be SMN. 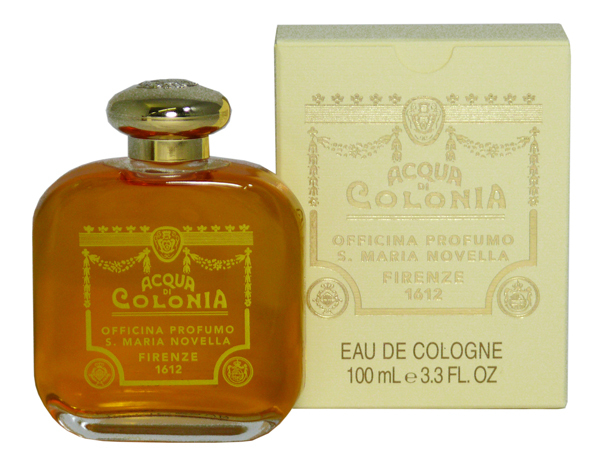 I first was introduced to the line via The Talented Mr Ripley where the female protagonist wears the original Aqua Colonia, but never knew what the perfume was until I set out to find the perfume worn by Vesper Lynd in Casino Royale only to find while reading an interview w/ Eva Green that Melograno was actually her signature which she brought over to her character. So the hunt was on. This was a number of years ago and it was a little more difficult to find the fragrance — I knew of two places in the US that carried it consistently. The packaging is sublime. It’s like opening a present. As for the history, the monastery has been around since the 12th century or so and the original Aqua Colonia is said to have been created for Caterina ‘de Medici. Not sure the true validity of that, but whatever. Makes things more interesting I suppose. I consider SMN the quintessential Italian perfumery and for all the fact that I love my classic, exquisite French perfumes there’s something about Italian perfumes that I honestly prefer. They’re effortless in their beauty. It’s like sunshine and hot summer days and cypress trees. This is probably influenced by the fact that I had a strong love for Italian history when I was a teenager. All about the Borgias & ‘de Medicis, and also my undying love for Franco Zeffirelli’s Romeo & Juliet. Currently I only own the Aqua Colonia & Melograno, but if you’ve not tried either of those I’d be happy to send you over some samples to go along w/ my ever growing list of samples I need to send you. I need your address, because I didn’t keep it when I last received samples from you. I haven’t dipped my foot into the waters of Italian perfumery yet (klytaemnestra’s lovely writing convinced me) but Santa Maria Novella’s Eliotropio is part of my spring-time heliotrope sampling list. This Amber sounds wonderful. Thank you. You will not be disappointed. There’s something very uniquely different about Italian verses French. I love them both, but the warmer the weather becomes the more I find myself drawn to Italian perfumes. 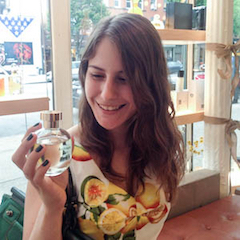 While many of my French perfumes become stifling, the summer heat just adds to the appeal of the Italian ones. Ive been to that boutique. It is a nice spot, and the SA was great. I agree about the sizes though. One of the ones i liked the most was the Tobacco Toscano. Ooooh, I knew I’d missed something! That will have to be the next one I try! Honestly, I don’t think I’ve tried a single fragrance from this line— my Italian education has sorely been neglected in the fragrance department. Aside from the Cathusia’s and maybe one or two others, I’m utterly non-conversant. Must. Remedy.